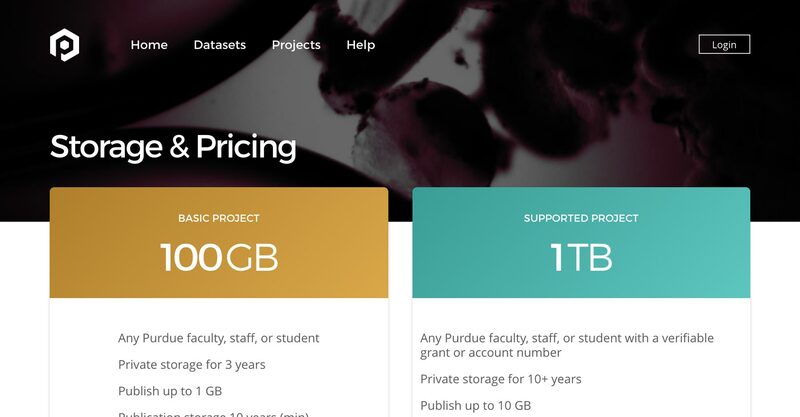 The Purdue University Research Repository (PURR) provides an online, collaborative working space and data-sharing platform to support Purdue researchers and their collaborators. Meet funders’ data requirements with our helpful resources and expert advice. Your own file sharing space and update feed make team collaboration easy. Publish your data, get a DOI and track your impact. Leave the archiving to us. 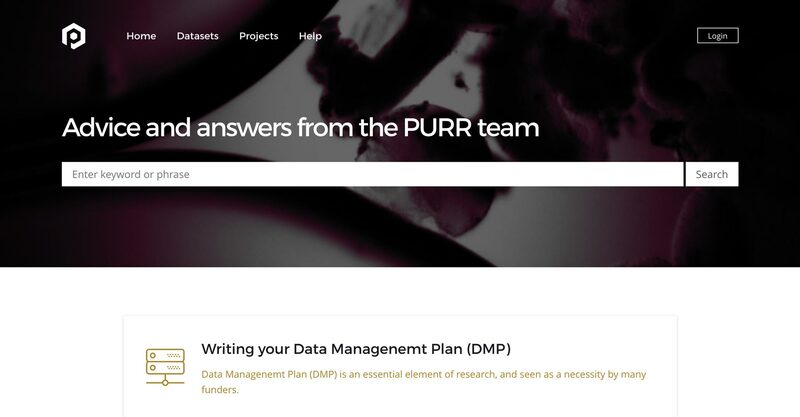 PURR offers several layers of assistance with data management planning including step-by-step guidance, boilerplate text for your proposal, sample plans, and individual consultations. PURR measures storage by the project not the user, so you always have room for something new. All projects start with 100GB of storage. Is your project grant funded? Let us know and we’ll bump that up to 1 TB at no cost to you. Make it easy for researchers to find and cite your data by publishing with PURR. Each dataset gets a Digital Object Identifier (DOI) that makes it easier for people to cite your data and give you credit. PURR even helps keep track of when your dataset gets cited. Explore the open data behind Purdue's world-class research. PURR publishes and archives digital datasets from researchers across campus and welcomes all kinds of open data from images and videos to spreadsheets and source code. An original national survey of the foreign-born Latino population in the US who were interviewed during and/or immediately after the 2012 national elections in the US.